VTel’s off-the-grid customers have asked for an alternative way to power the power supply used in our fiber optic system. As several have pointed out, there is inefficiency in converting 12 volts DC to 110 volts AC through an inverter to power the unit which then provides a 12 volt supply to the required ONT (optical network terminal). 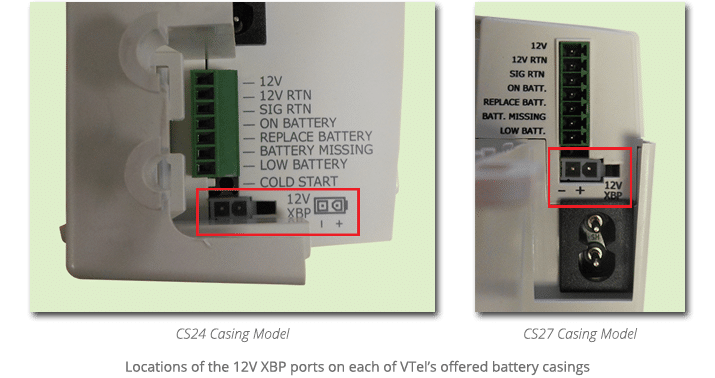 VTel’s goal is to provide a standardized, approved way for off-grid customers to connect their 12 volt DC battery source to the power supply. VTel requires that the CyberPower power supply unit which is used on all fiber optic residential installations will be the only approved source for the 12 volt DC input used to power the ONT which provides our customers with phone, Internet, and video. Working with a local solar provider, VTel has established the following approved alternate powering method. First, although there are two different style power supply units in use, they both have a port labeled “12V XBP”. This port is located on the bottom of the power supply next to the other wire connector plugs. The port is used to connect the power supply to an optional 20hr External Battery Pack (XBP) which CyberPower sells using a cord which is provided with the XBP. VTel has obtained a supply of the cords (CyberPower #CBLSPT2BAT-3-BLK) from the manufacturer which can be purchased at our main office in Springfield for $3.99 or shipped to the customer’s home for an additional $2.99. 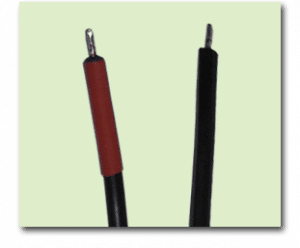 To use this as an approved connection, VTel requires that the customer place an automotive-style inline fuse holder on the positive lead, which is labeled with a red band from the manufacturer. (Crimp style connectors can be used, although a soldered connection is better.) The two leads can then be extended to the customer’s battery grid using as direct a path as possible (using 14 GA wire). As in any electrical wiring application, care must be taken to ensure proper polarity is maintained.